Leonardo da Vinci, John and Yoko news, theatre and film events and more as Arts Diary is back and Getintothis’ Rick Leach has the details. There can be a bit of cup half-full/cup half-empty thing whenever we think of the arts and specifically what is happening on the ground and in our city. We can look through rose-tinted glasses and be full of self-congratulation- the recent End of Year Report into Liverpool’s 2018 Cultural activities sees us as world leaders in the cultural sphere with economic riches beyond our wildest dreams arising from it all. On the other hand, a BOP report in 2018 drew different conclusions highlighting commercial pressures on venues, lack of diversity in programming, the city not being seen as an industry hub, homegrown talent leaving for London and more. The truth probably lies somewhere between these two poles. And furthermore, as we all know, the truth is not a fixed concept. Things change and truth changes. As we at Getintothis relaunch our monthly Arts Diary, we’re looking forward with some excitement to see what lies ahead for the arts in Liverpool and the wider Merseyside area. On a personal level, as the new Arts Editor, I’ve been bowled over by what’s happening in February and found it genuinely difficult to cram everything into this month’s column. We’ve tried to pick the best and most interesting events, exhibitions, happenings, activities and more that should pique your curiosity. We cannot promise that we’ll please all of you all of the time-after all, art, like comedy or music, is subjective- but we hope some of our choices will inspire and excite you to get out there and see what’s going on. Please let us know if you think there’s anything we’ve overlooked or anything coming up that you think is worthy of inclusion in our forthcoming columns. Let’s keep that cup half-full at the very least! The Walker Art Gallery will host an exhibition of artwork by Leonardo da Vinci (1452-1519) to mark the 500th anniversary of the artist’s death. Leonardo da Vinci: A Life in Drawing (February 1 to May 6 2019) will explore the diversity of subjects that inspired Leonardo’s creativity across 12 drawings. The free exhibition will be held as part of a nationwide event organised by Royal Collection Trust, in which 144 of the Renaissance master’s greatest drawings in the Royal Collection will go on display in 12 simultaneous exhibitions across the nation, giving the widest-ever UK audience the opportunity to see the work of this extraordinary artist. The 12 drawings on display at the Walker include a charcoal study for the drapery of Leonardo’s Madonna and Child with St Anne, demonstrating his remarkable technical abilities, as well as a river landscape, a stormy apocalyptic scene and a chalk drawing of a masquerader on horseback in an ornate costume. 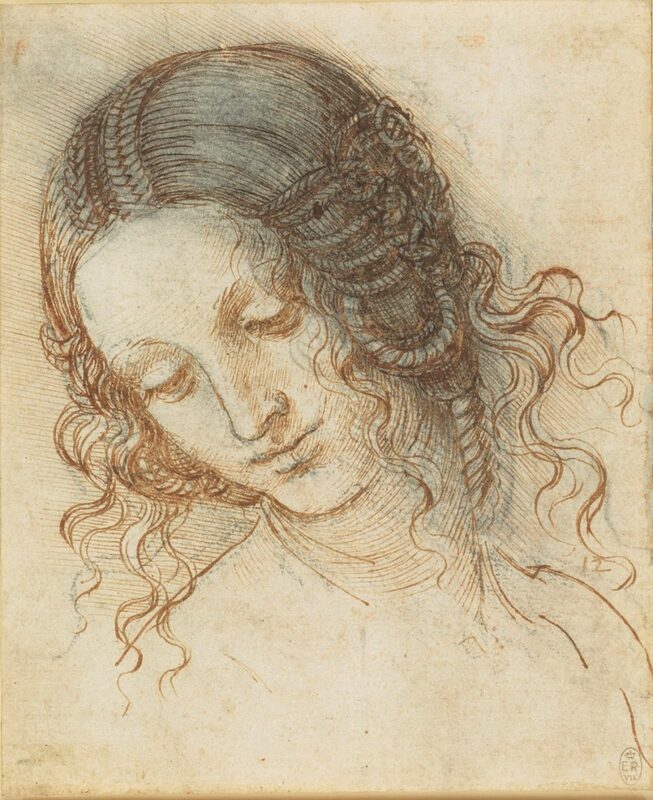 Martin Clayton, Head of Prints and Drawings, Royal Collection Trust said, ‘The exhibition at the Walker Art Gallery demonstrates the extraordinarily wide range of Leonardo’s work throughout his lifetime, and is a thrilling opportunity for audiences to engage directly with one of the greatest minds in history. The Royal Collection holds the finest surviving group of Leonardo’s drawings – more than 550 sheets – that have been together since Leonardo’s death. Because of the potential for damage from exposure to light, these very delicate works on paper can never be on permanent display and are kept in carefully controlled conditions in the Print Room at Windsor Castle. 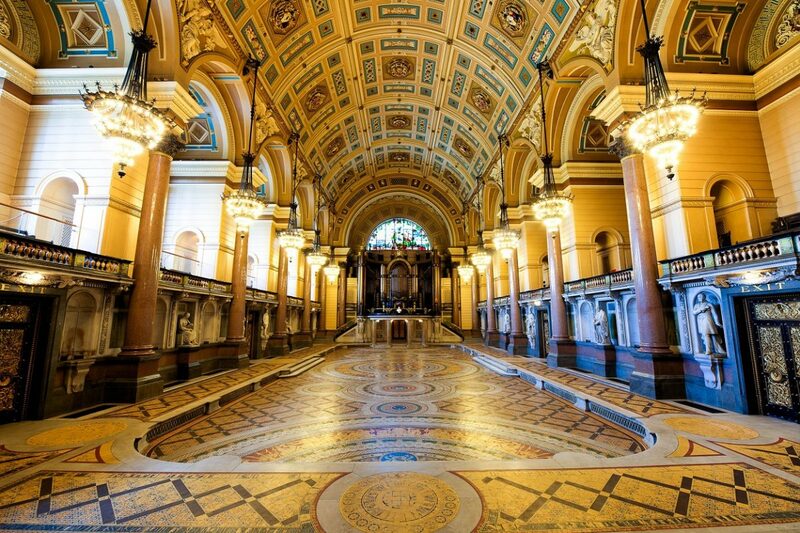 The rare and unique chance to see a dozen of these magnificent drawings in Liverpool is surely one not to be missed. 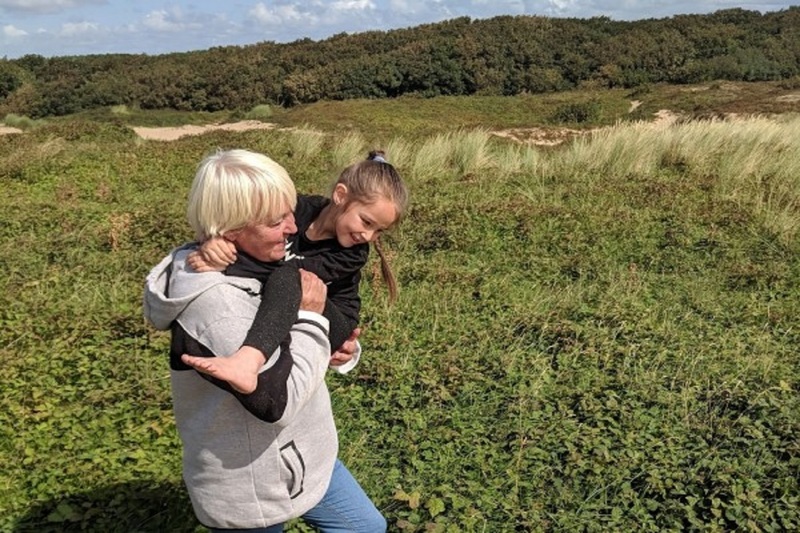 This new performance work is the culmination of a project with Kinship Carers, a Liverpool charity supporting people who care for a family member’s or friend’s child. Facilitated by dance artist Paula Hampson, writer and composer Chris Mellor and film producers First Take, the performance weaves together personal and shared stories from young people, grandparents and carers, expressed through movement, words and film. A compassionate tale of hope, courage, love and determination, capturing treasured moments of a creative journey and bringing to light their important role in our community. Working with Theatre-Rites, Liverpool youth theatre group 20 Stories High bring a music event like no other. On 14 February. a mash up of beatboxing, live music, and puppetry hosted by HOBBIT (International Beatboxing Champion) and featuring the very special talents of Dorcas Seb (Vocalist) and world class puppeteers Iestyn Evans and Clarke Joseph-Edwards lands at the Unity. 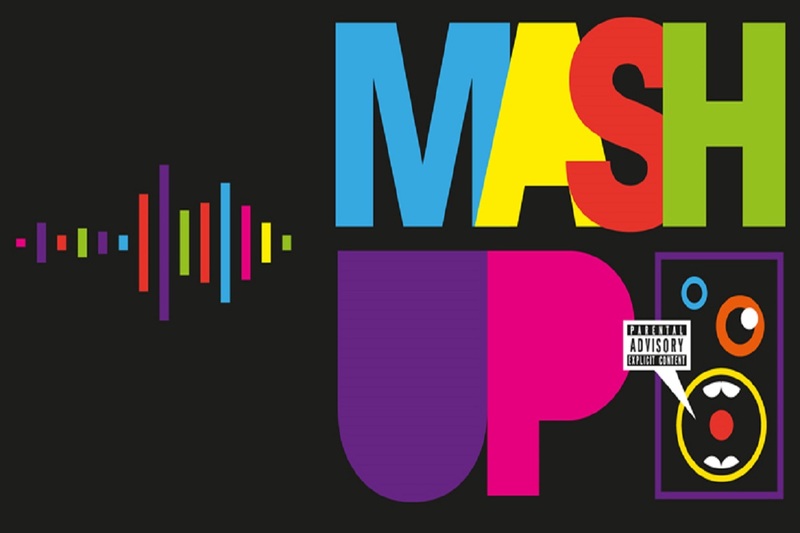 The evening will also feature guest spots from a host of local MCs, singers and poets and will culminate in an after show open mic – and it’s suitable for ages 13 and upwards. Valentine’s Day. Audrey Hepburn. 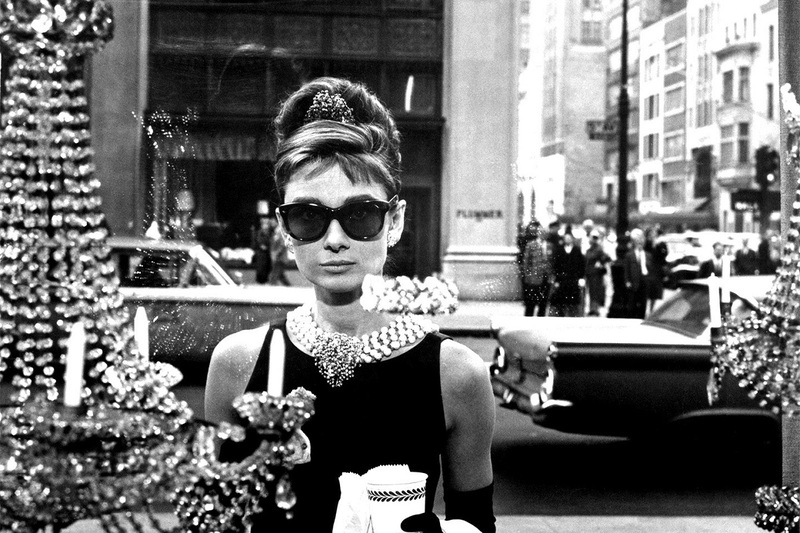 Breakfast at Tiffany’s. Bombed Out Church. What a way to spend Valentine’s evening. A classic film under the stars. Apparently you can even have your own love message projected onto the screen before the big film starts. Beats staying in and watching Emmerdale. 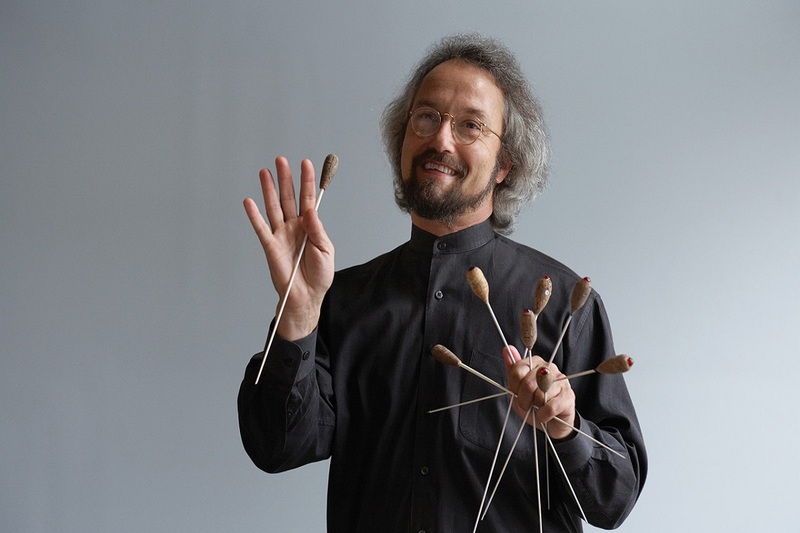 With the addition of that soaring beauty that is Mahler’s Rückert Songs (sung by Liverpool’s own Jennifer Johnston) if you’re going to see just one classical concert this February then make it this one. You will not be disappointed. 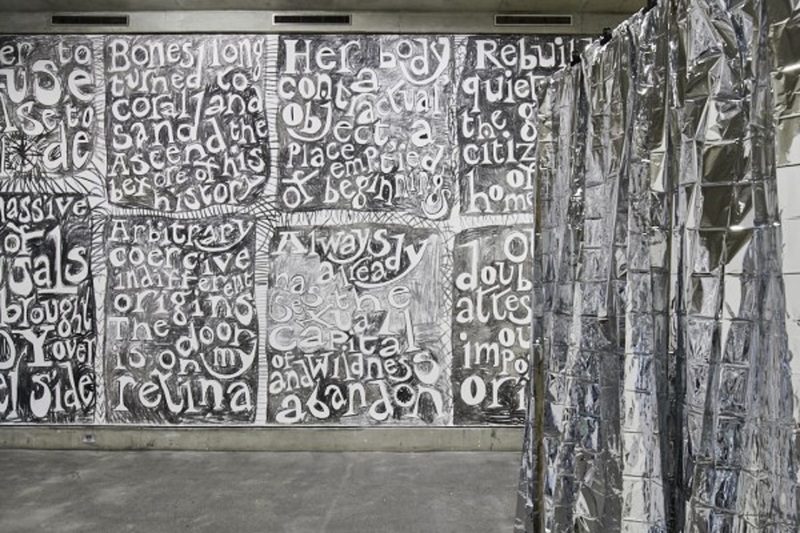 Artist-in-residence at the Bluecoat since 2018, Yorkshire-based Jade Monserrat works at the intersection of art and activism through drawing, painting, performance, film, installation, sculpture, print and text. At Bluecoat Monserrat has transformed the gallery walls with huge charcoal wall drawings as part of a wider installation. The drawings are comprised of quotations and responses to key texts on decolonisation and decolonising knowledge by writers such as Frantz Fanon, Audre Lorde and Stuart Hall. Her drawings also feature fragments of text by local and international artists addressing vital questions such as who does art education serve and who should it serve? How do we value individual and collective creativity? And what could a care centred approach to education look like? 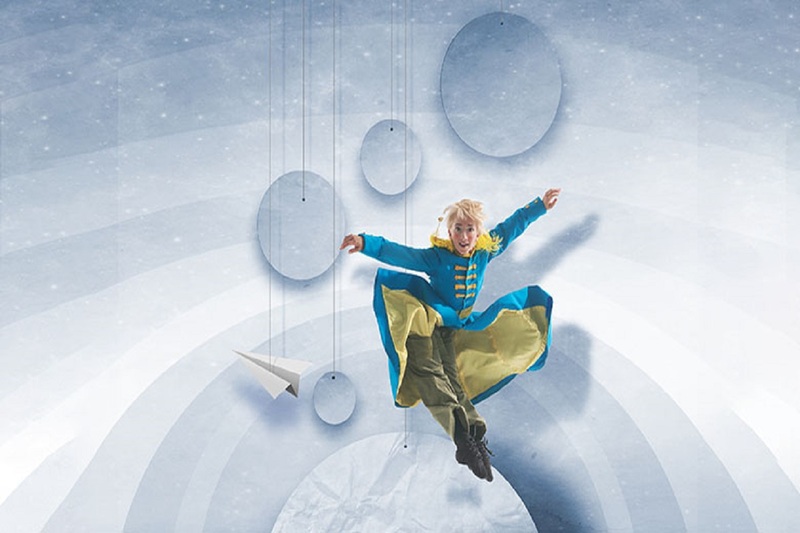 Based on the world-famous story by Antoine de Saint-Exupéry, The Little Prince is brought to life using Luca Silvestrini’s Protein Company’s award-winning mix of dance, humour and spoken word. Protein’s new show invites us to look at the world through one’s heart and to reconnect with our inner child. Already having garnered rave reviews from the likes of The Stage and The Observer, the opportunity to see it for one night only in Ormskirk is maybe one to be grabbed at with both hands. 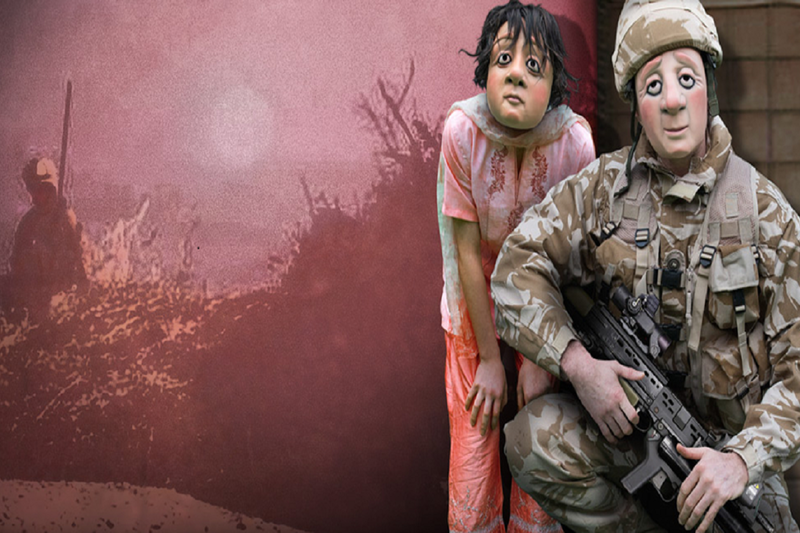 A Brave Face, from Vamos Theatre, explores Post-Traumatic Stress, an unseen and often unrecognised injury of war, and the impact it can have on even the closest of families. With compassion and fearlessness, Vamos brings its trademark, wordless, full mask style to a story that needs to be told. On one particular hot and desperate tour of duty, Ryan sees things he can’t talk about, to anyone. And when he returns home, the trouble really begins. Part of FACT’s Winter season, the Broken Symmetries exhibition has little over a month left to run, and if you’ve not seen it yet then you have four weeks or so to make a beeline up to FACT. Broken Symmetries is comprised of artworks which rethink scientific facts by performing or interrogating theories and experiments – challenging notions of reality and how we arrive at something as ‘certain fact’. The works question how much we really know about the world around us, and how we may begin to discover new aspects by looking at the world differently. All of the artists included in the exhibition are either previous winners of, or have received an honorary mention in the Collide International Residency Award, one of the core programmes of Arts at CERN in collaboration with FACT since 2016. Broken Symmetries presents some of the work undertaken as a result of this collaboration. The exciting part of the exhibition is the interdisciplinary working between artists and scientists and with ten internationally acclaimed artists from around the world involved, more than ever it shows that artificially constructed boundaries between both disciplines and countries need have no place in 2019. Although February is half-term week- a week where time can often hang heavy and for those with caring responsibilities, the phrase ‘I’m bored’ springs easily to mind- there’s a plethora of things to do to stop the tedium. 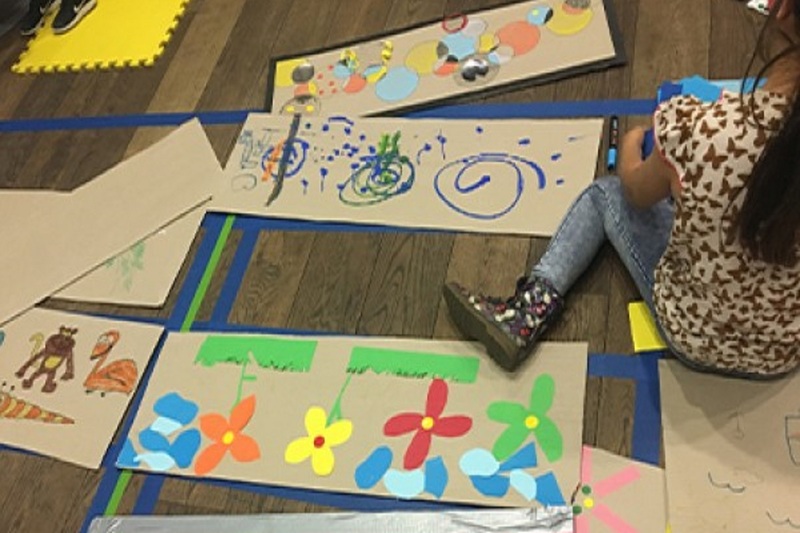 FACT have free events every Saturday- Do Something Saturdays give families a space to make, do and be creative together and are suitable for children aged 6 and over. As for music, it’s never too early; The Philharmonic are holding a workshop for ages 18- 36 months on February 20, using songs and games to help develop musicianship and creativity. TATE Liverpool have a two-hour free workshop running on 24 February. It gives families of all ages a chance to try out hands-on activities, learn new techniques and to explore artworks from Tate’s displays. With many more activities available across Liverpool and Merseyside than just these four selections above to try from, there is no reason at all to be bored in February. This exhibition brings together more than forty works by renowned artist Ferdinand Léger (1881–1955). 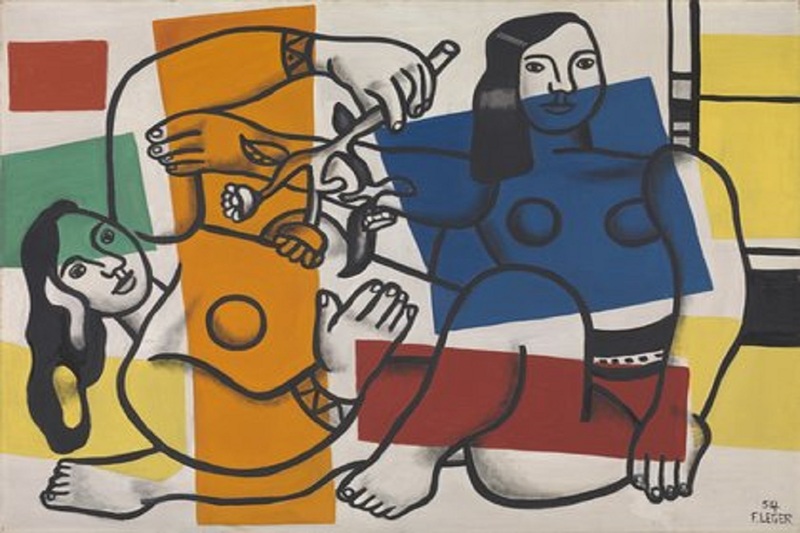 Léger was enthralled by the vibrancy of modern life. His paintings, murals, film and textiles were infused with the bustle and rhythm of the metropolis. He drew on photography and new forms of communication that boomed during the ‘mechanical age’ of the twentieth-century such as typography, advertising and graphic design. Léger’s work was heavily influenced by his surroundings and his experience of modern life and included in the exhibition are his collaborations with architects Le Corbusier and Charlotte Perriand. Also on display is his experimental 1924 film, Ballet Mécanique. This is the first major UK exhibition dedicated to Léger’s work in thirty years, celebrates the artist’s desire to make art part of everyday life and it’s well worth heading to down the TATE to catch it while you can. The Roscoe Lectures use research, humour and political insight to explore current, engaging topics and have been a fixture in the city for the past twenty years. The first of this years annual Roscoe Lectures kicks off with what should be this thought-provoking one by Christopher Le Brun, President of the Royal Academy. Christopher Le Brun is a painter, sculptor and printmaker. He was elected President of the Royal Academy in December 2011. In his early career, he was a double prize winner at the John Moores exhibitions (1978/1980) also showing in the Venice Biennale in 1980 and the ground-breaking Zeitgeist at the Martin-Gropius Bau, Berlin 1982. His work can be found in many major museum and private collections, as well as in the public realm. Metal have announced a new commission with electronic music artists Forest Swords and Immix Ensemble, a new music piece inspired by the shifting sounds of our rapidly changing British cityscapes as part of the PRS New Music Biennial. The New Music Biennial 2019 is a PRS Foundation initiative that supports and provides a platform for talented organisations and music creators who are pushing the boundaries of new music in the UK. The New Music Biennale presents music from across genres and aims to reach new audiences for contemporary music. Taking part in the New Music Biennial has given both collaborating artists a chance to push themselves musically and a chance to explore and merge genres. In addition to Metal, the programme features an impressive array of performance groups and arts organisations with a strong track record in supporting UK composers. This includes Chineke!, London Contemporary Orchestra, Opera North, QuJunktions and many more. 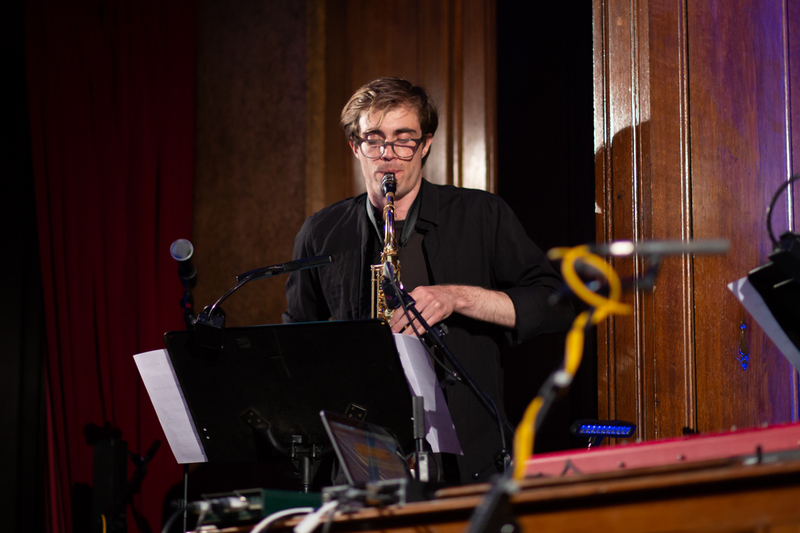 The New Music Biennial pieces will be performed across two weekends on July 5-7 2019 at London’s Southbank Centre and July 12-14 2019 in Hull, broadcast on BBC Radio 3 plus available as a download by NMC Recordings following the festivals. Metal tell us there will be a live date in Liverpool during the year with further details to be confirmed. As Metal were the driving force behind the memorable Steve Reich/ Different Trains/ Bill Morrison event, then we’ll keep our eyes peeled. The Museum of Liverpool has announced that its blockbuster exhibition Double Fantasy has been extended until November 3 2019. Since opening in May 2018, Double Fantasy has become one of the Museum of Liverpool’s most popular exhibitions, attracting more than 300,000 visitors. Part of John and Yoko’s ongoing Imagine Peace campaign, the exhibition shows how the couple used their fame and influence to campaign for peace and human rights across the world, transforming not only their own lives, but art, music and activism forever. Many visitors to Double Fantasy have been moved to express their own feelings of what love and peace mean to them by posting on the Wish Trees and Remember Love wall that feature in the exhibition. 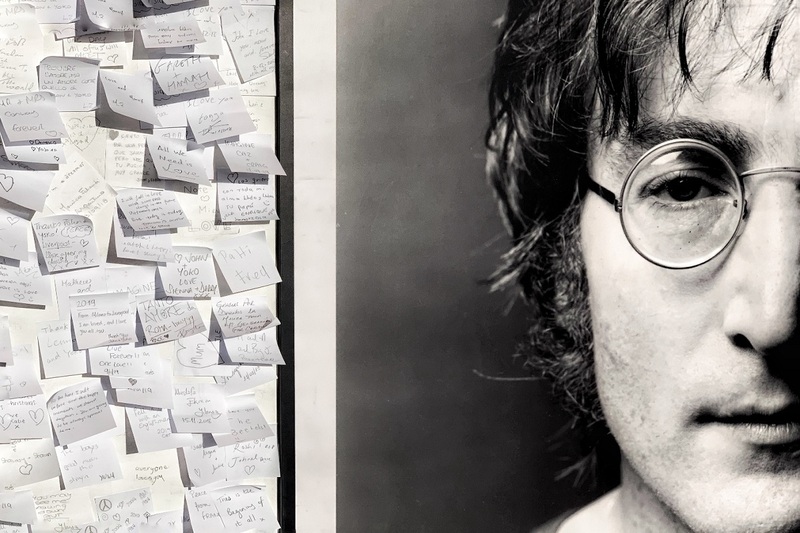 More than 24,000 tags have been hung from the Wish Trees, while around 26,000 notes have been inscribed and placed on the wall surrounding Iain Macmillan’s portrait of John Lennon. When the exhibition closes, all notes and tags will be stored at IMAGINE PEACE TOWER, Yoko’s memorial to John which she unveiled in 2007 on the island of Videy, Reykjavik in Iceland. The exhibition – which is drawn from Yoko Ono Lennon’s own private collection- was originally due to close on April 22 2019.